1.469,70 € прибл. 105.777,10 руб. 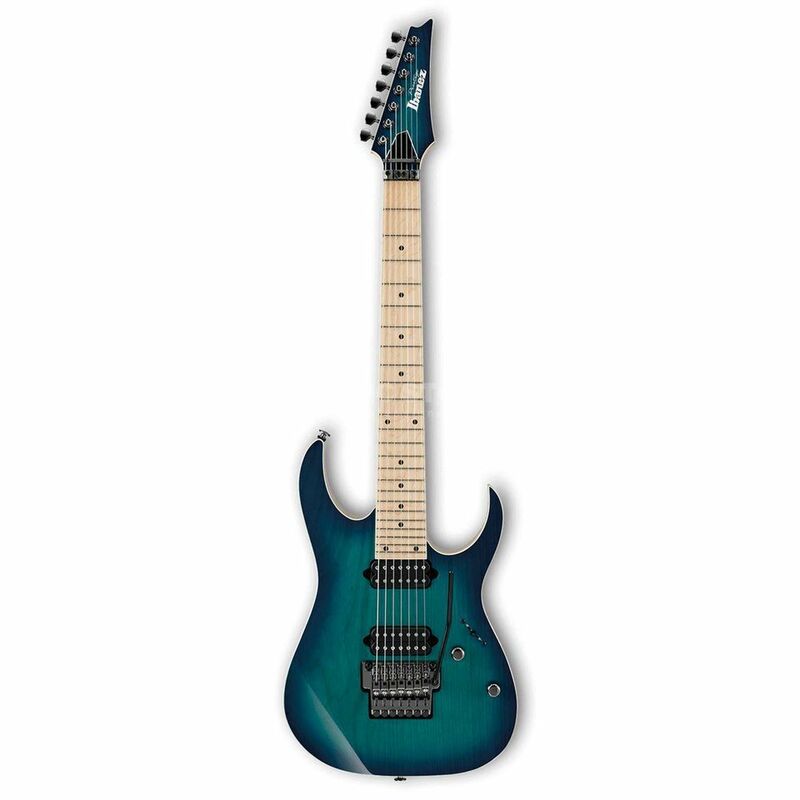 The Ibanez Prestige RG752AHM-NGB 7-String Electric Nebula Green Burst is 7-string model featuring an ash body, a Wizard-7 5-piece maple neck, a Birdseye maple fingerboard, and a nebula green burst finish. The RG is the most recognisable and distinctive guitar range that Ibanez offer. The RG655M is designed particularly for "shredders", thanks to a neck thickness of 17mm at the 1st fret and 19mm at the 12th fret. Built with an industry-leading locking tremolo system, the RG is a precision instrument equipped with a slim, fast and durable Wizard-7 maple/wenge neck. The legendary Lo-Pro Edge 7 bridge offers maximum playing comfort with its streamlined profile and recessed fine tuners. Locking studs contribute to tuning stability. The DiMarzio PAF7 pickups produce a clean open sound on the low notes and warm and rounded on the high ones.